How to make seamless patterns using the pattern tool in Illustrator ~ Elan Creative Co. 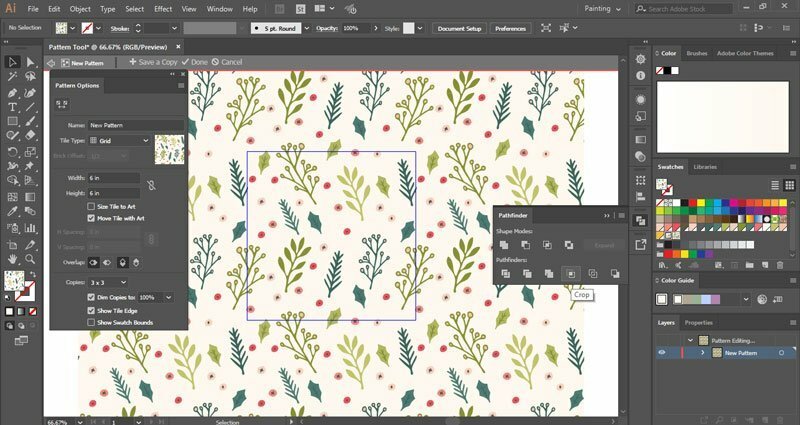 In this tutorial, I’m going to show you how to make beautiful seamless patterns using the pattern tool in Illustrator. The pattern tool only works with Adobe Illustrator CS6 and newer. 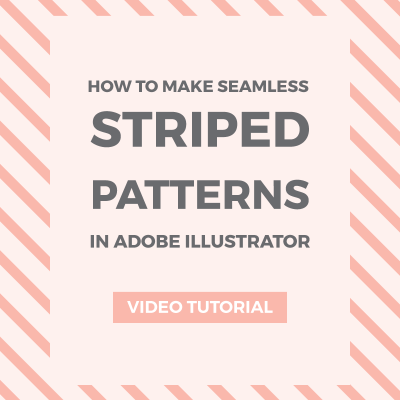 If you have CS5 or older, you can try my other method of making seamless patterns. 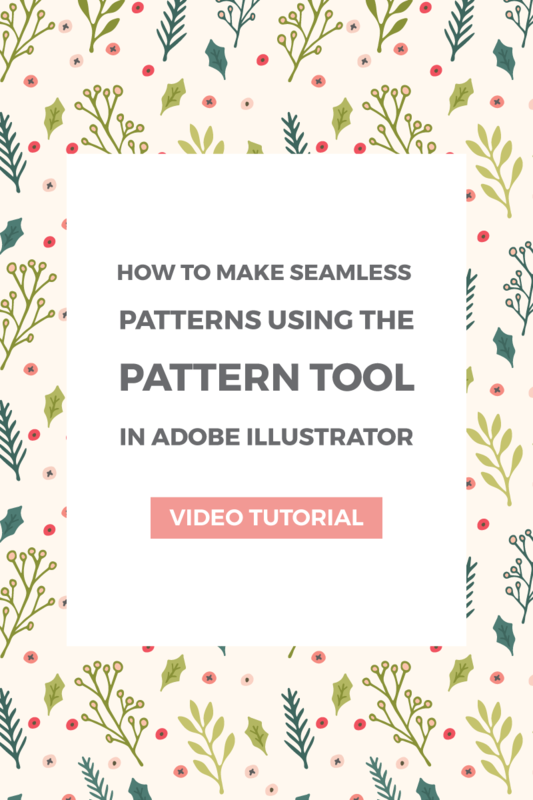 That’s the method I use for most of my patterns, but you can make wonderful patterns with the pattern tool in just a few minutes. 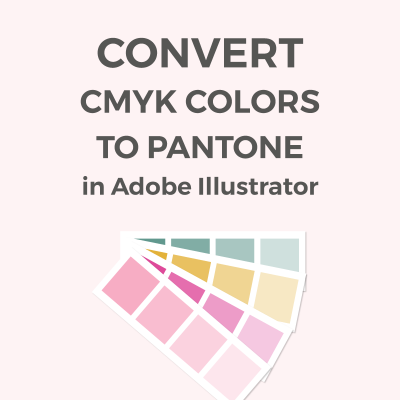 Open Illustrator and create a new document. I usually start with a square artboard that is 6x6in at 300ppi. Add the illustration you want to use to the artboard. 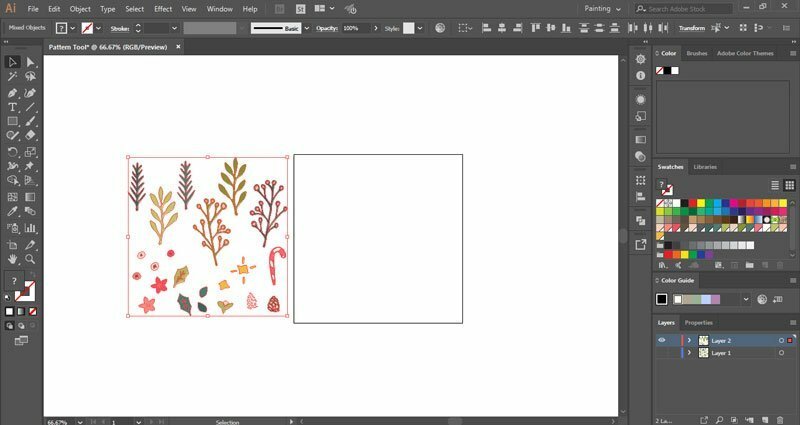 If you want to use the Winter Flowers illustrations, open the file, copy the items, and paste them into the new document. 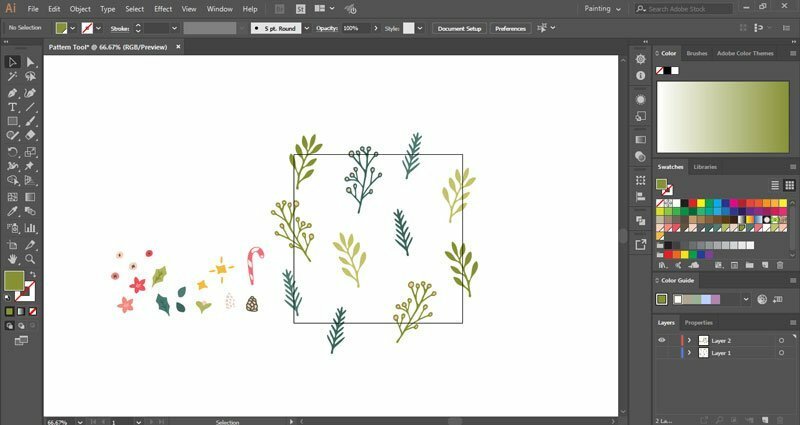 Next, I’m going to create a simple pattern tile using the branches. I want to make a random repeating pattern, so I’m going to arrange them on the artboard, and rotate some of them to create movement. Don’t worry if some of them are outside the artboard, but make sure the items you want in the pattern touch the artboard. I don’t want a simple pattern, so I’m going to fill in the white space with berries and leaves. I won’t use all the elements because I don’t want it to be too cluttered. Delete the elements that you don’t want to use. I won’t add a background to the pattern right now because backgrounds don’t always work well with the pattern tool and they can cut off some of the illustrations. Use the Selection tool (V) to select all the graphics and go to Object > Pattern > Make. 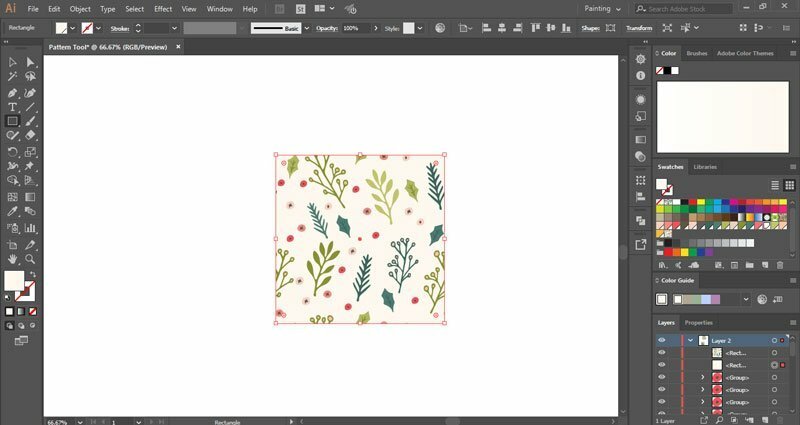 I want my pattern tile to be the same size as my artboard, so we have to uncheck Size Tile to Art if it’s checked, and enter the width and height of the artboard (6x6in). This will help us save tileable copies of our patterns. When you change the size of the pattern tile, some of the illustrations will overlap. 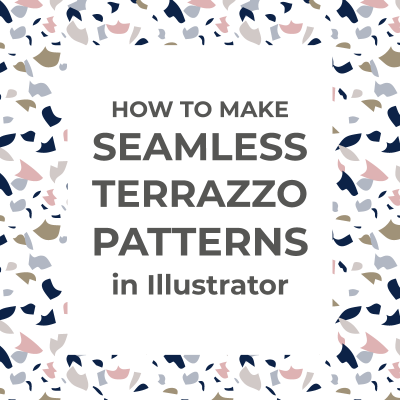 You have to delete, rotate, or resize some of them and rearrange the illustrations until you are happy with the way your pattern looks. To test the pattern, dim the copies to 100% and search for items that are cut off, overlap, or for large white spaces. To save the pattern, click Done. The pattern swatch will now appear in the Swatches Panel (Window > Swatches). Pattern swatches are easy to use and work just like color swatches. 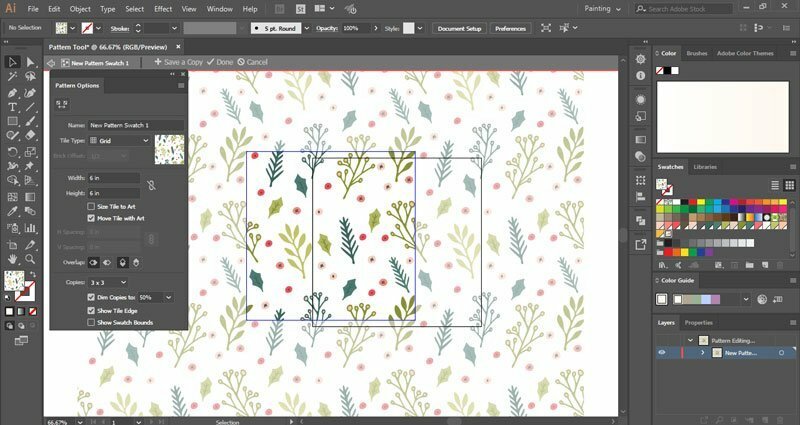 Using the Rectangle Tool (M), create a rectangle that’s the same size as your pattern tile (6x6in) and fill it with the pattern. This pattern tile should be seamless. Copy the pattern tile by pressing Ctrl + C (Edit > Copy) and paste it in the back by pressing Ctrl + B (Edit > Paste in Back). Change the color of the second rectangle to the background color you want. Use the Selection tool (V) to select both rectangles and go to Object > Expand. Now open the Pathfinder menu (Window > Pathfinder) with both items selected and click on Crop. This will merge the two items and you can save them as a pattern swatch. Select the group and go to Object > Pattern > Make or drag the pattern to the Swatches panel. Click Done to save another copy of the pattern. 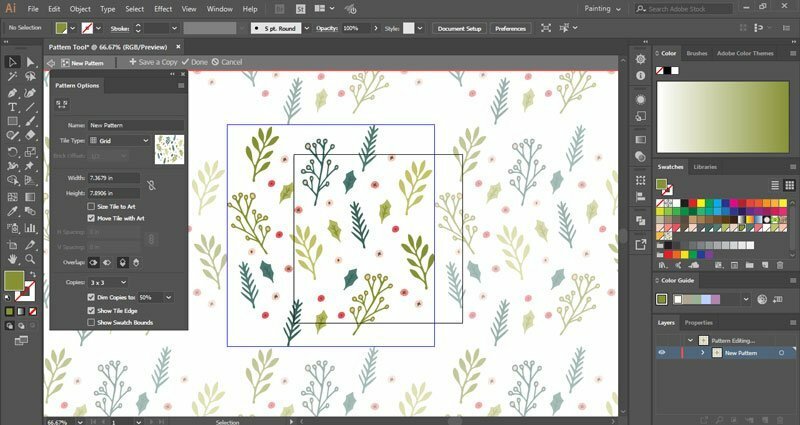 Hope you love making patterns using the pattern tool in Illustrator. I’d love to see your designs! Hello! 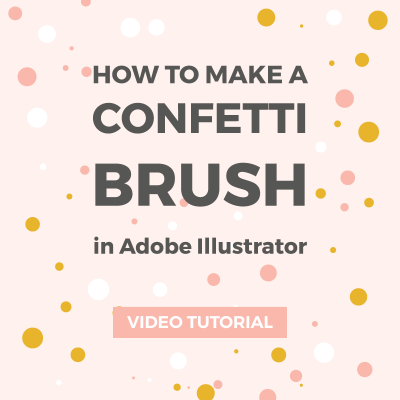 Thank you for a wonderful tutorial! How do I save the pattern tile as an eps? Hi Sandra! I’m glad you like it! You can create a new document that’s the same size as your pattern tile, paste your pattern there, and save it as an EPS file from Save As. I will soon make a tutorial about saving patterns.